This fall, we introduced the Danner High Ground, a family of men’s and women’s lightweight big game hunting boots. The athletic design, combined with key elements that lighten the boot and increase functionality, ensure you are quick on your feet no matter the hunting terrain. Built upon the athletic-inspired Danner Trailgaurd platform, the High Ground offers the comfort and capture of a hiking boot. The upper is constructed with ultra-durable nubuc leather combined with abrasion resistant action leather in the high-wear areas. The pattern design of this boot strategically eliminates hot spots and pinching points, to allow one to hunt faster and further. 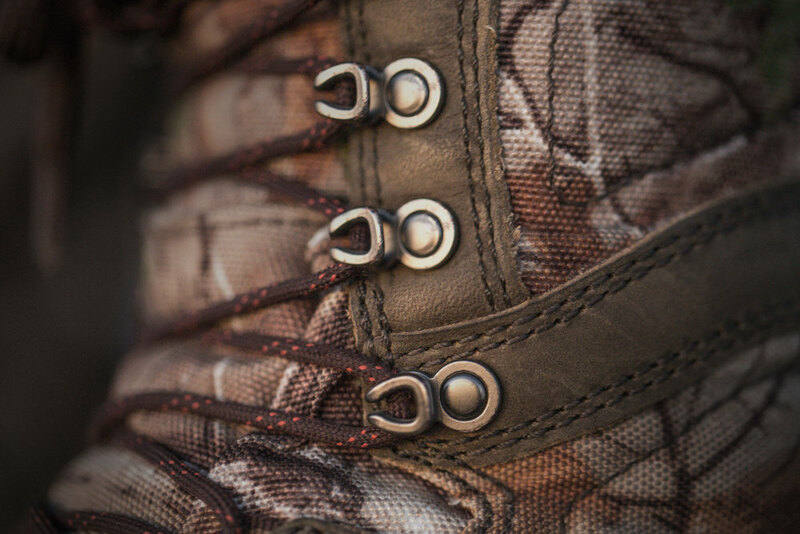 A Lock and Load lacing system includes ghillies across the forefoot for a secure fit and locking speed hooks for easy lacing. The High Ground provides 100% waterproof breathable protection from GORE-TEX® lining and a floating tongue design delivers easy on and off. An antimicrobial polyurethane footbed with open cell construction and EVA midsole ensure underfoot comfort and air circulation throughout the boot. The Danner® Talon outsole provides lightweight athletic performance on rugged terrain. 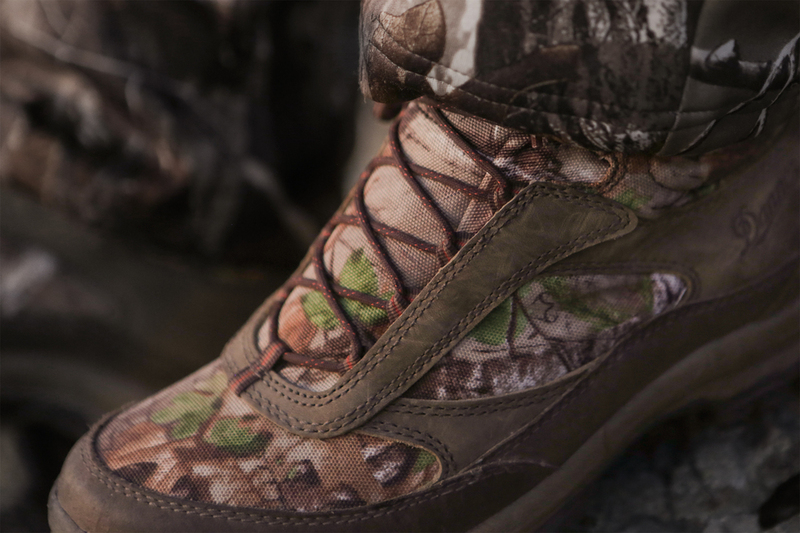 The High Ground is an agile hunting boot fit to perform in any hunting condition. It is available with varying levels of ThinsulateTM Ultra Insulation and in colors including solid brown, Realtree Xtra Green®, Realtree Xtra®, and Mossy Oak® Infinity®.